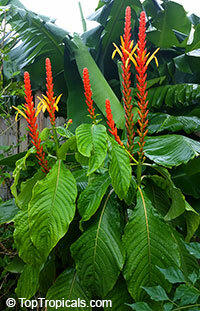 Hummingbird Bush, Flame Acanthus. 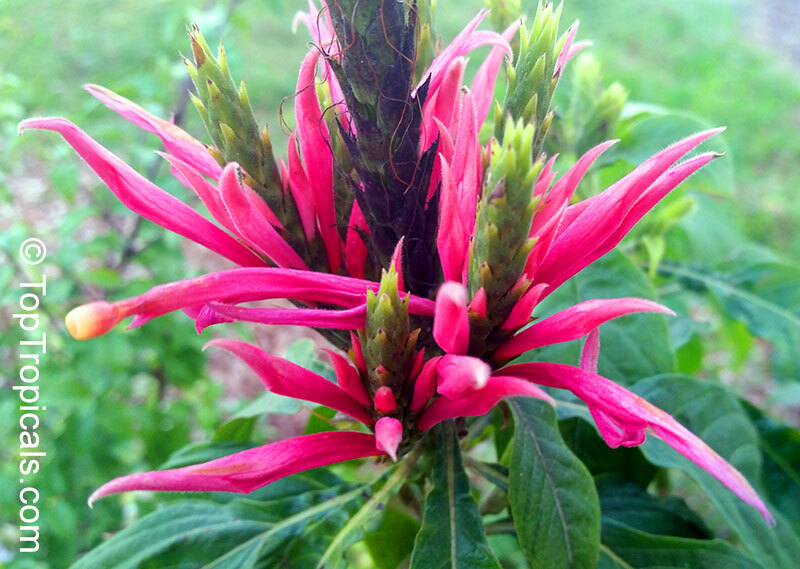 From midsummer through frost, flame acanthus is covered with long, slender, red or orange blooms that hummingbirds love. 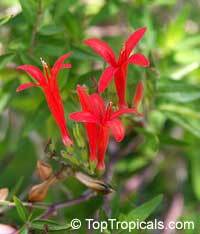 It is a drought tolerant, heat-loving small shrub that works as well in the perennial border as it does as an informal hedge or speciman plant. 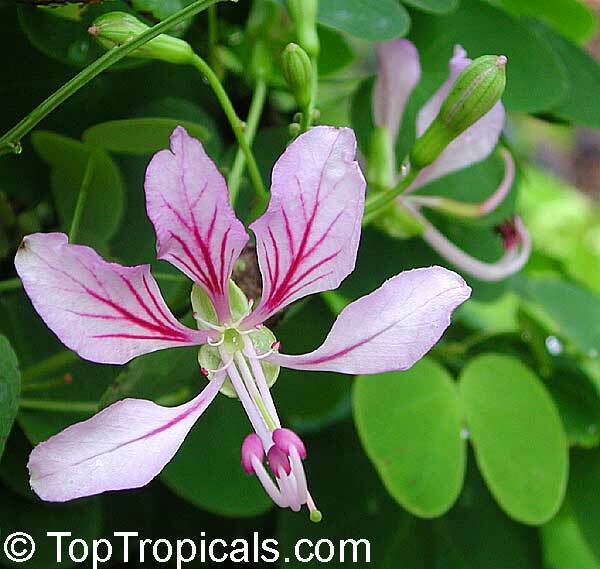 It is a good choice for sites with poor soils and reflected heat, hardy throughout zone 8. 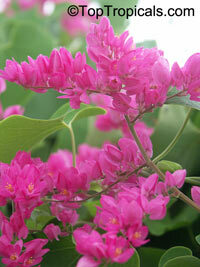 Mexican Coral Vine, Coral Creeper - fast-growing delicate vine with bright pink flowers. Cold hardy! 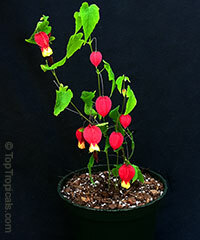 Very fast growing, will cover a fece in one season. Blooms most of the year. 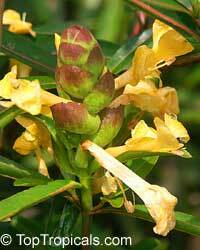 Yellow Aphelandra. Yellow flowers emerge out of long orange stalks in the fall time. Pretty and unusual! A tall, shrubby perennial with very long terminal inflorescences that are very unique and showy, with yellow flowers protruding from orange calyces in succession over many days. 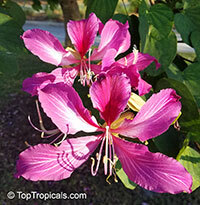 Grows nicely in full sun in south Florida, but it will also tolerate quite shady conditions. 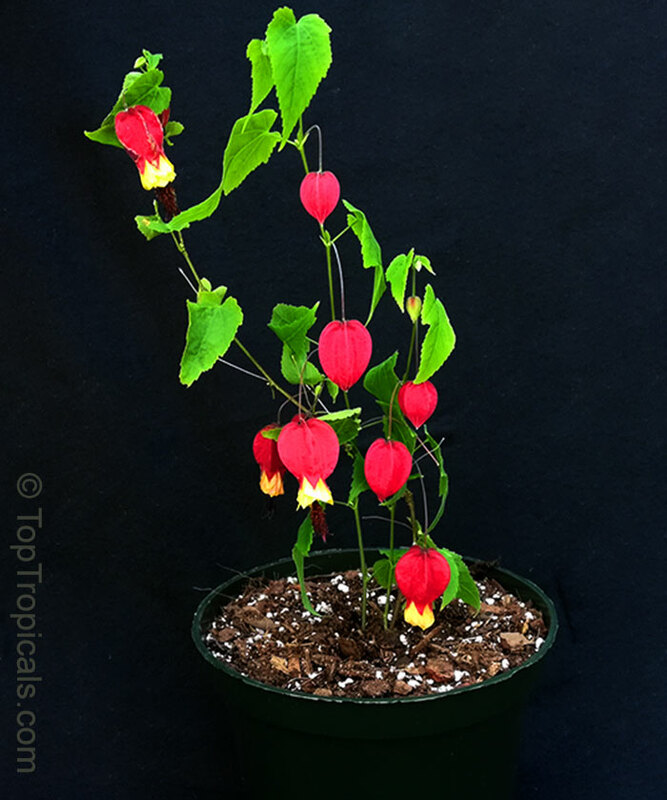 This is a new introduction, quite unique flowering plant from S America. 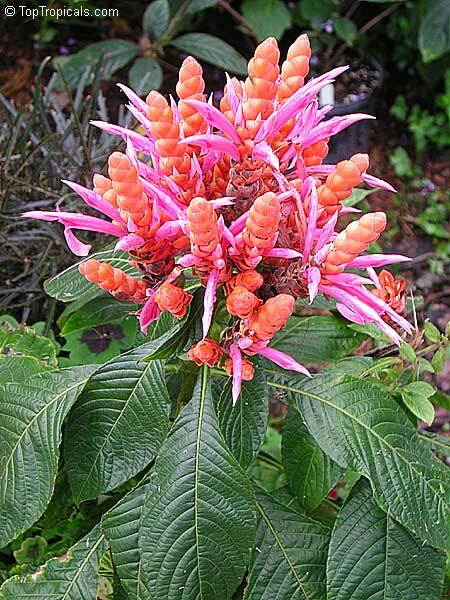 Like all aphelandras, it has showy flowers that are loved by hummingbirds. 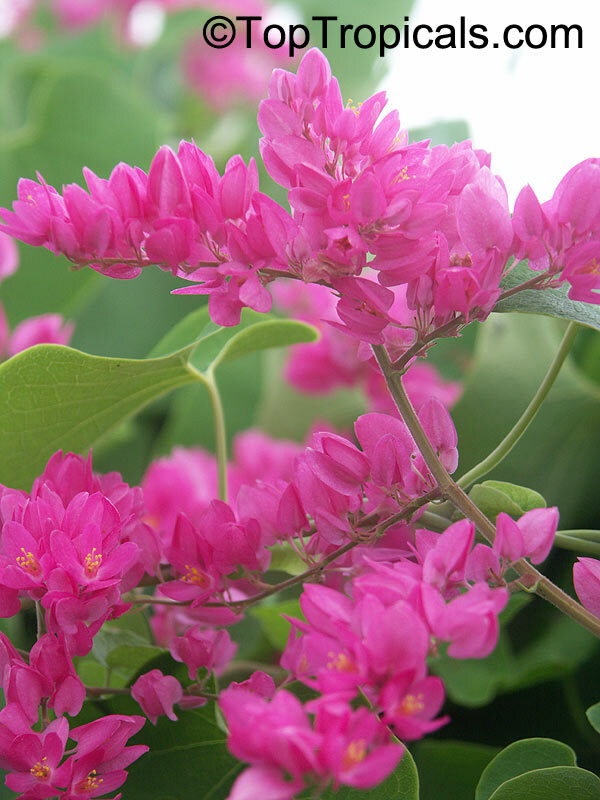 The flowers of this variety are bright pink, up to 2 inch long, and tubular. 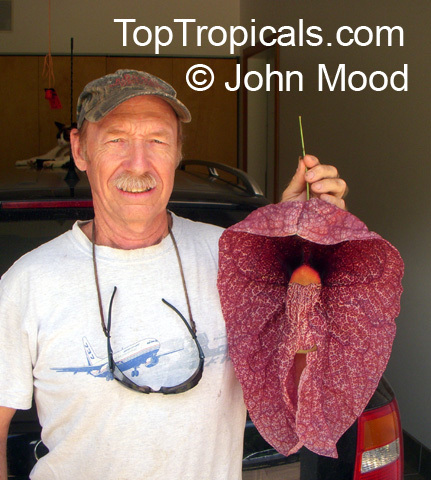 They are 2-lipped, fuzzy and they bloom for one day before wilting. 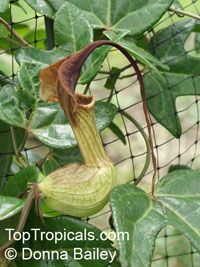 The A. scabra inflorescence is candle-like and the prepubescent flower spikes can grow up to 6 inch in height. The inflorescence has overlapping green bracts that are tinged with yellow and orange and they have extrafloral nectaries. Each day only one or two flowers open along the inflorescence to prevent self-pollination. 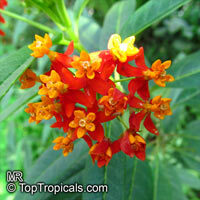 It is a great addition to a collectible tropical butterfly garden. Can grow into 4-5" tall bushy specimen. 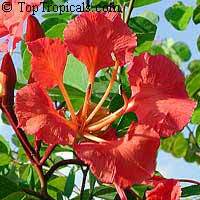 Blooms sporadically during warm season. 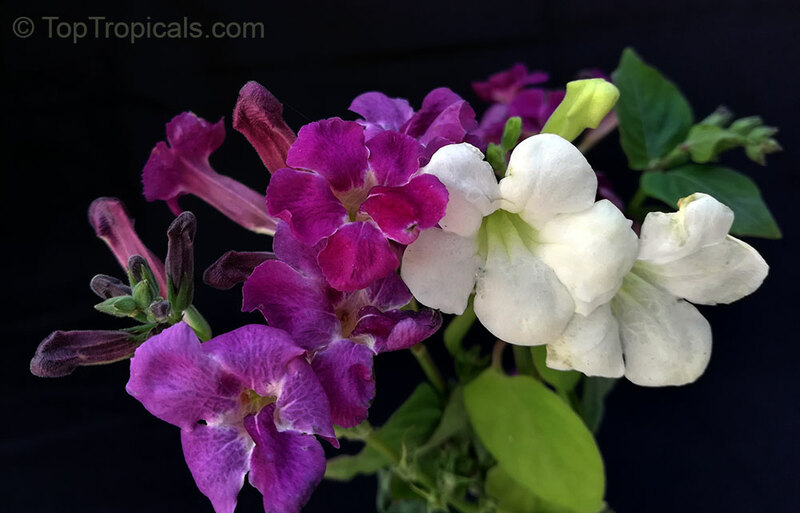 Tolerates both full sun or filtered light. 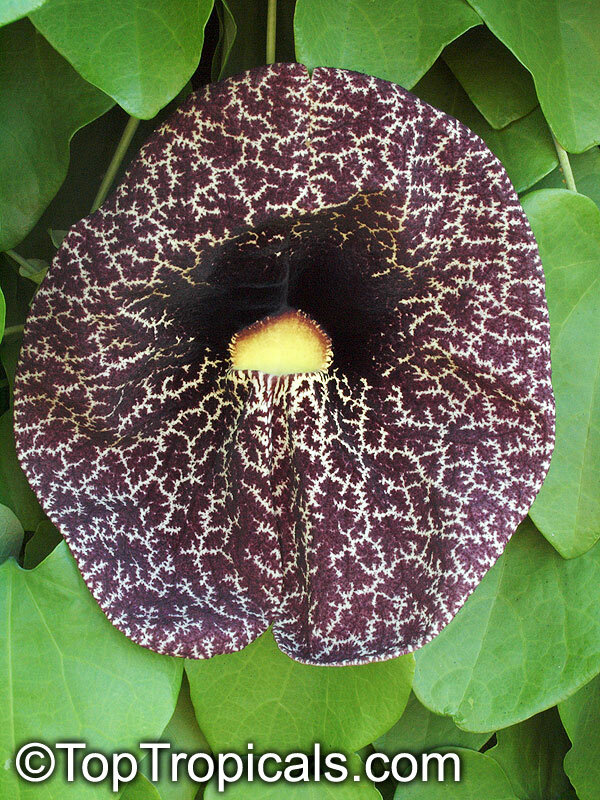 Dwarf Pelican flower, Calico flower. 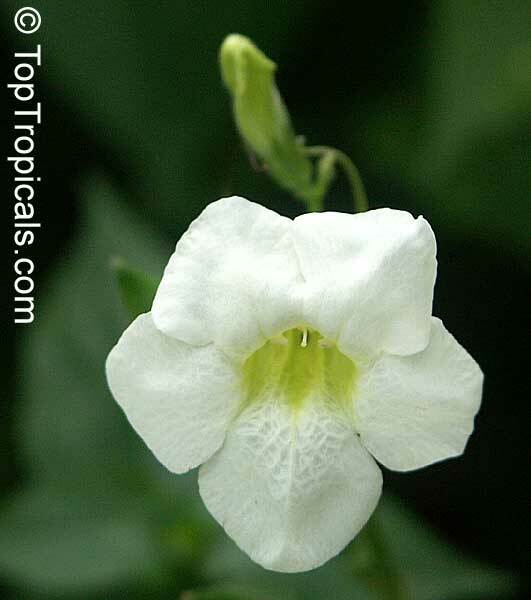 Easy to grow, fast growing vine with curious flowers, relatively cold hardy (to some frost). Flowers are similar to A. gigantea, but smaller size (4-5"). 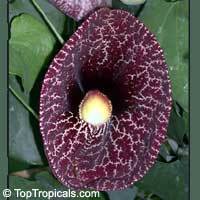 Dutchman's Pipe. 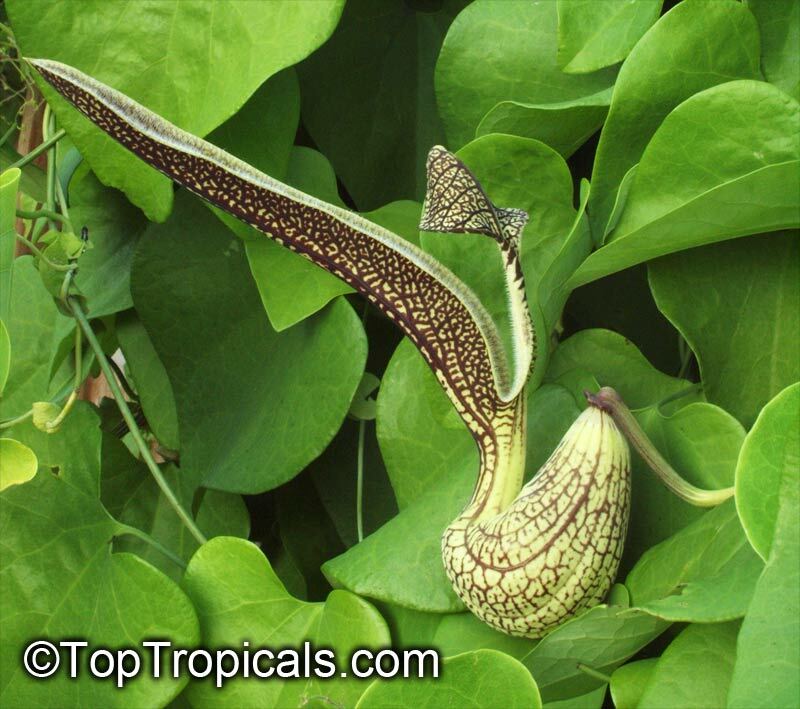 Rare species with curious long flowers resembling a pipe. Vigorous grower, however this plant is less invasive and easier to control than other Aristolochia species. 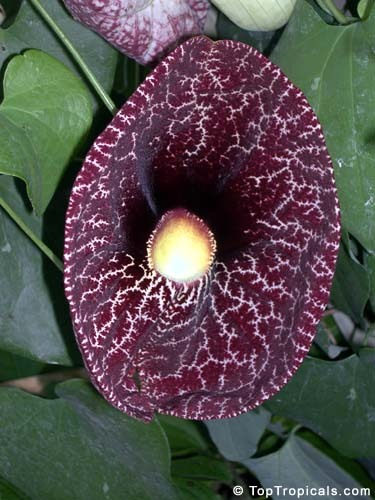 Dutchman's Pipe, Bejuco de Santiago. Pale green nepenthes shaped flowers striped tan with a long tail. 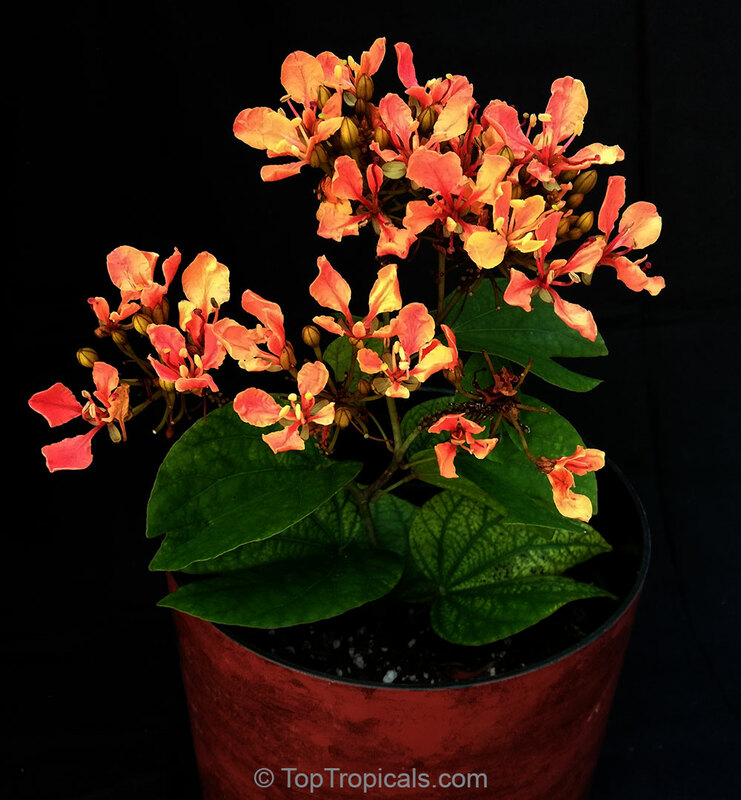 Deeply lobed glossy leaves with light veins. It is quite adaptable and can be grown in subtropical areas, does well in low light conditions and can be grown indoors. 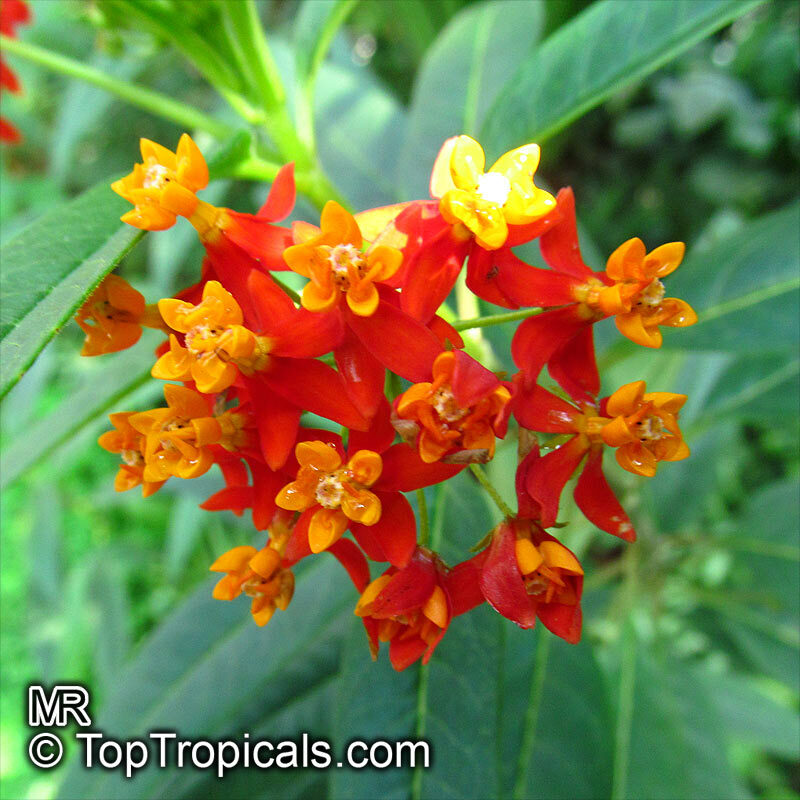 Butterfly weed - great butterfly attractor! 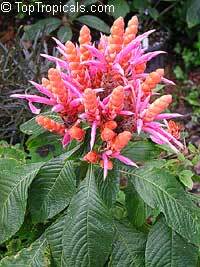 Drought tolerant, tough plant. 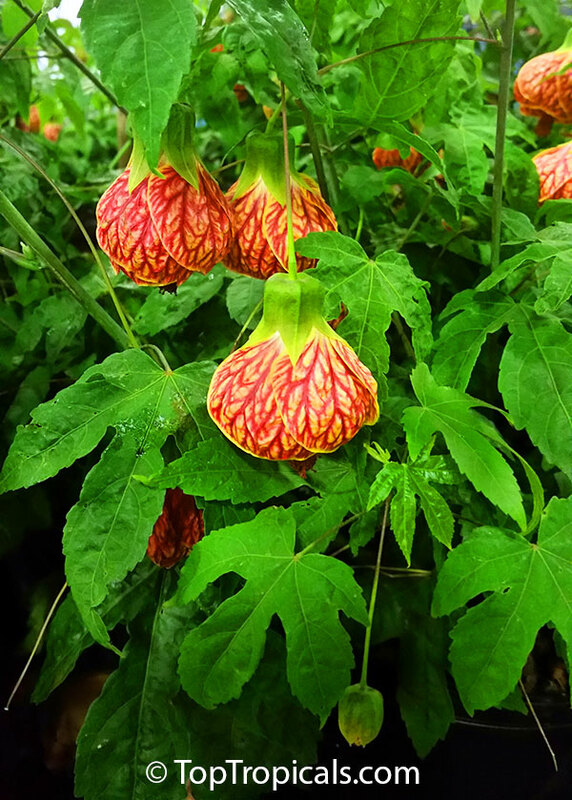 This plant is very attractive to butterflies. 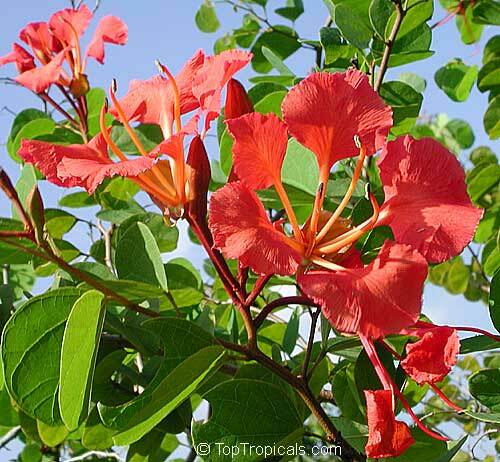 Long bloom period from late spring throughout the summer. 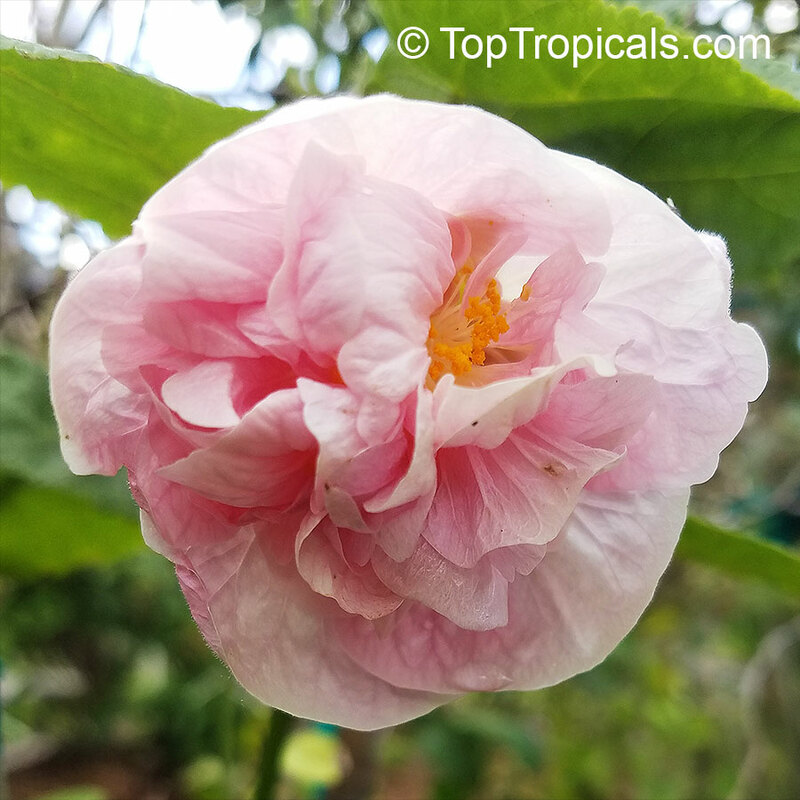 Flowers are a nectar source for many butterflies and leaves are a food source for monarch butterfly larvae (caterpillars). Super butterfly attractor! 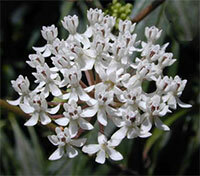 Clusters of pure white flowers with a darker eye may be born throughout summer. 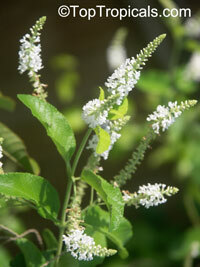 One of the few shade tolerant Milkweeds and it is generally a fairly reliable perennial.The blooming period occurs from late spring to mid-summer (or sometimes later), lasting about 1-2 months. The flowers are mildly fragrant. Purple Primrose, Chinese Violet. 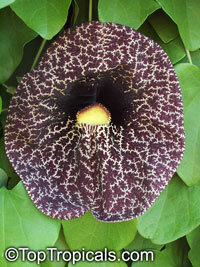 Low growing perennial with pretty purple glowers, blooming throughout warm season. 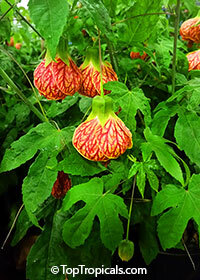 Can be used as a mass planting under large trees and borders in full sun, semi-shade or full shade. It is also a good container plant. Leaves have been eaten as spinach in India. 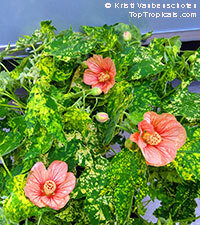 This ground cover thrives in semi-shade and will also grow in sunny spots if it receives adequate moisture. It can be planted in any soil in the garden, but will do better if plenty of compost is added. White Primrose, Chinese Violet. Low growing perennial with pretty white glowers, blooming throughout warm season. 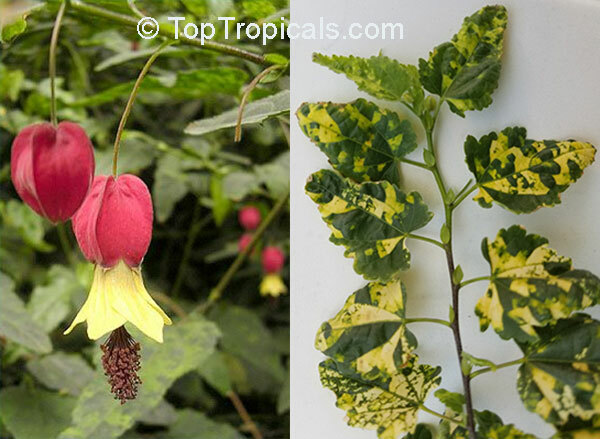 Can be used as a mass planting under large trees and borders in full sun, semi-shade or full shade. It is also a good container plant. Leaves have been eaten as spinach in India.